Synopsis: A little girl awakens to the sound of snow flakes pit patting against her window. She quickly dresses in her boots, coat, scarf and hat and sneaks outside to the quiet hush of the snow flakes falling. She begins to roll a small snowball, which grows bigger and bigger as she wanders across the town, along rivers, through the woods, past a bear, and into an open area where a group of children are busy building snowmen and enjoying a magical day in the snow. This enchanting and quiet book by Bomi Park captures the joy and magic a child experiences in a first snow of the season. The minimal text flows nicely, giving the black and white pencil illustrations (with a splash of red) time to draw readers deeply into the journey of a little girl rolling her snowball across town. Park’s dreamy illustrations show the simple wonderment of the story and allow readers time to imagine themselves playing in the new snow. She also uses a lot of white space and many wordless pages in this small book designed for small hands. First Snow is a perfect bedtime snuggle book. 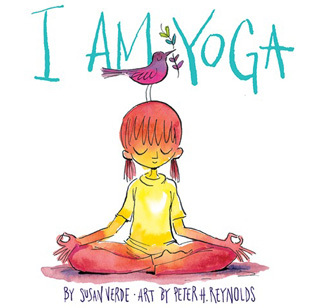 Verdict: This book will be a winner with toddlers and young children for many years to come! Resources: When the first big snow arrives, take a walk, catch snowflakes on your tongue, build a snowman, and make snow angels. Enjoy the experience. Bomi Park was born and lives in South Korea. 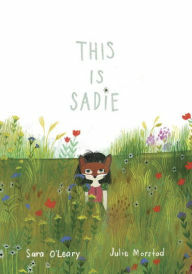 First Snow is her debut picture book. It was first published in South Korea. A student of piano, psychology, and architecture, she discovered that drawing was a perfect way to communicate love to her family and friends. Book Jacket Synopsis: The Moment You Were Born is a gentle and soothing story for you and your baby as you share moments in the Neonatal Intensive Care Unit (NICU). Read about the doctors and nurses providing care, about the machines that beep and hum, and about life all around. Reading and talking to your baby are ways to provide a loving connection during your time in the NICU. Your voice can comfort and caress, strengthen the bond between you and your baby. The Moment You Were Born is a beautiful love poem to a baby born prematurely. The text is lyrical and the words sing off the pages as parents pour their love, hopes and dreams into the pure joy waiting their eager touch. The authors wrote their sensitive book “for your baby and not about your baby.” It is to be read by parents to their baby during the neonatal experience to encourage bonding and connection. It is also a book that will help parents can share with their child in later years to explain and show their early beginnings. Shelly Hehenberger’s richly textured illustrations are breathtaking, soothing and diverse. They are created digitally using hand-painted textures and overlays. Children of all races and cultures will see themselves in her delightful artwork. Resources: There is a Note to Parents and Caregivers in the back pages with more ideas about sharing the NICU experience and staying close to their baby. Parents are encouraged to be present with their baby, using their voice to touch through talking, reading books and singing lullabies. They are urged to learn about their baby’s care, connect with other parents and caregivers, take care of themselves and seek support. Book Jacket Synopsis: A young boy wakes. He has forgotten to say his prayers. Outside his window, a beautiful harvest moon illuminates the city around him and its many inhabitants. 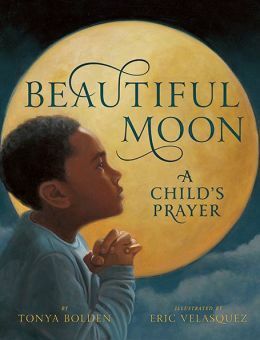 As the moon slowly makes its way across the heavens, the boy offers a simple prayer for the homeless, for the hungry and for others. The narrative is simple and straightforward. It is very inspirational, comforting and heartwarming, more than it is religious. There is a balance of diversity. The boy’s sincerity carries a powerful message. It is important for children to see how the boy focuses his prayers on social needs of today’s world before he focuses on his family, his teacher and his pet turtle. This book will help parents have discussions with their kids about who is in need and who they may want to pray for. Vasquez’s rich and beautiful illustrations are painted in oil. Each double-spread shows the moon in a different phase meaningful to the setting. As the boys prays for people with no homes, the sick to be healed or for wars to end, Vasquez highlights his prayers by showing a woman bundled up on a park bench, a man in a hospital bed and a soldier in a distant land. This is a wonderful collaborative effort between the author and illustrator. Tonya Bolden has written a number of highly regarded books for both children and adults. Maritcha: A 19th Century American Girl won a Coretta Scott King Honor Award and a James Madison Book Award. Her other books include Emancipation Proclamation, M.L.K. and Searching for Sarah Rector. Eric Velasquez is the illustrator of numerous books, including My Uncle Martin’s Big Heart and My Uncle Martin’s Words for America, both by Angela Farris Watkins. He has received much praise for his work, including the Coretta Scott King/John Steptoe Award and the Pura Belpre Honor for illustration.